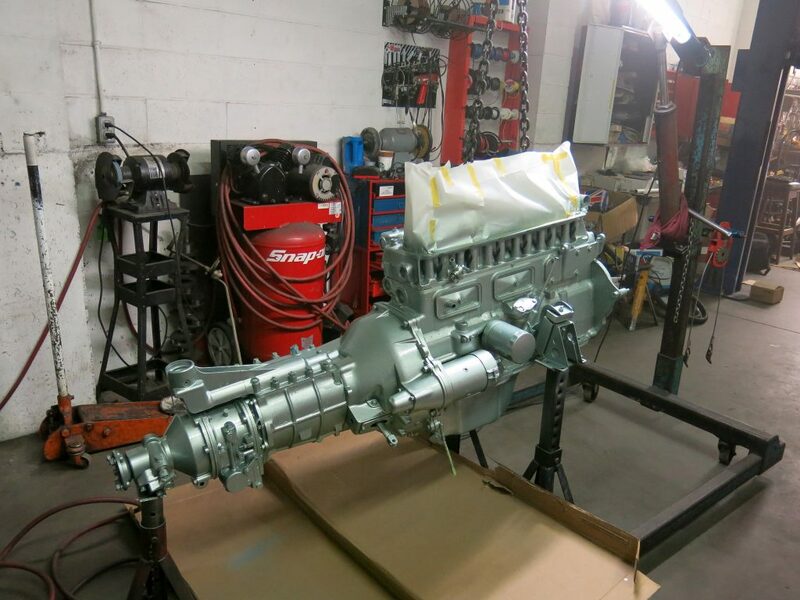 The engine has landed. 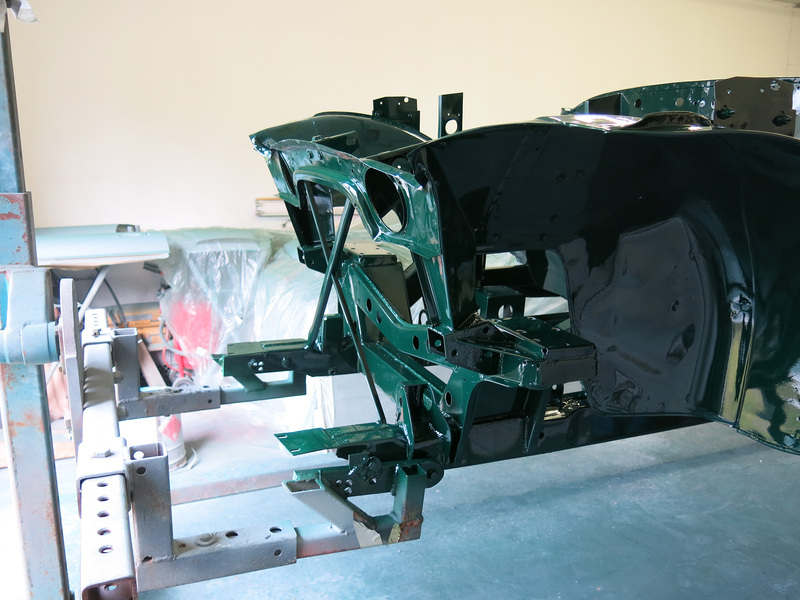 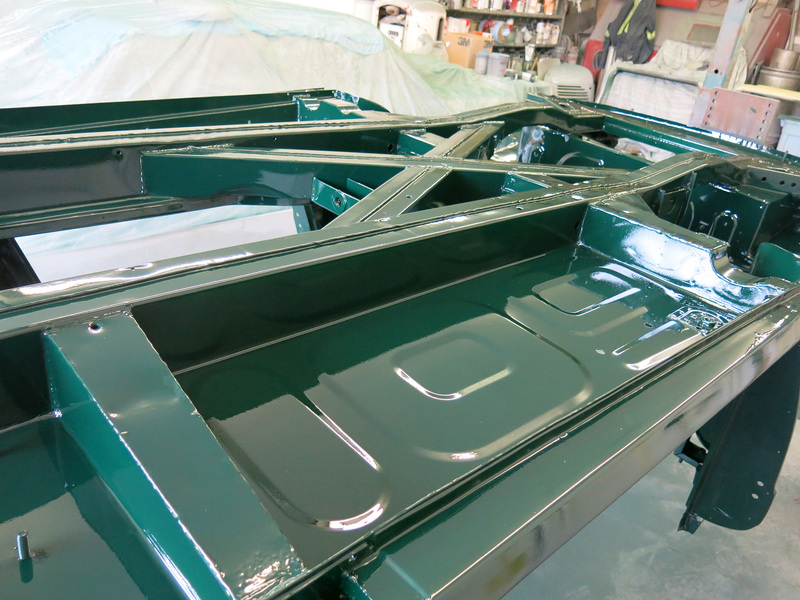 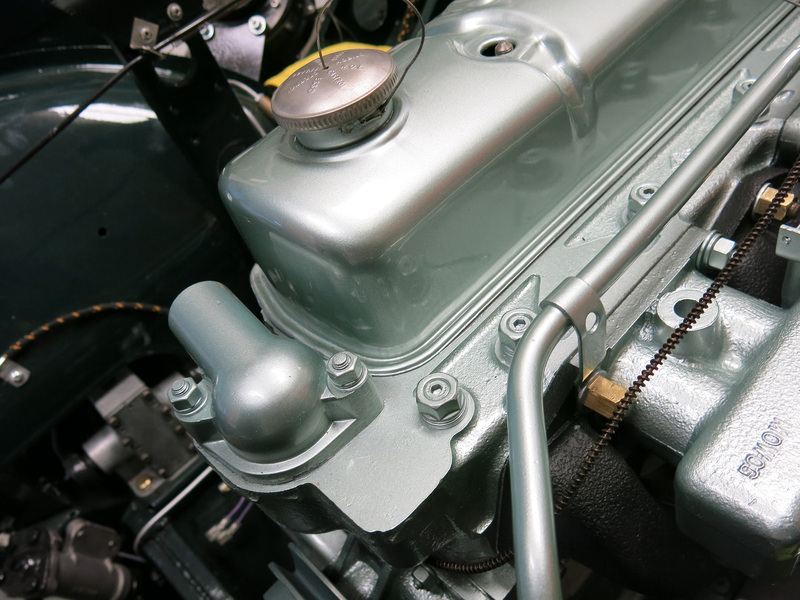 Lucky for us BMC used light metallic green on the engine so we could apply a very nice base/clear finish on our restoration car. 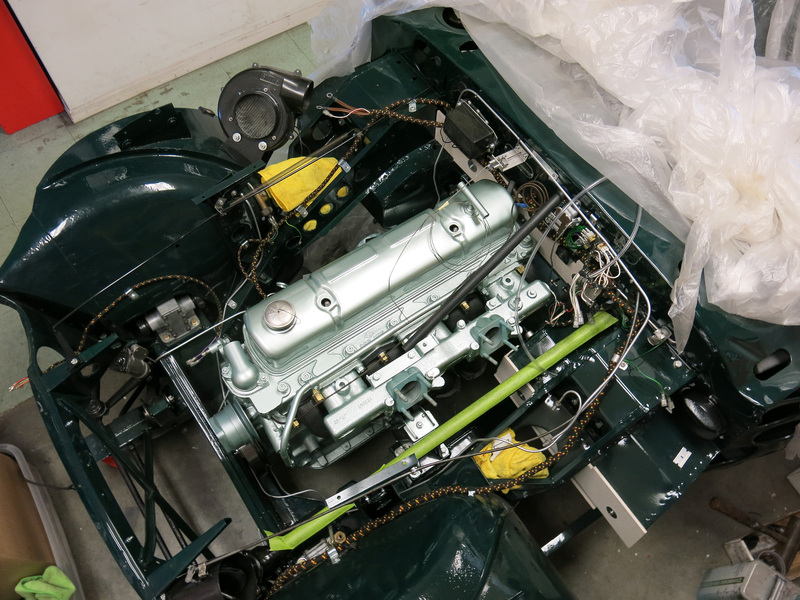 In typical BMC fashion everything was installed on the engine prior to paint so we mimicked that process, somewhat. 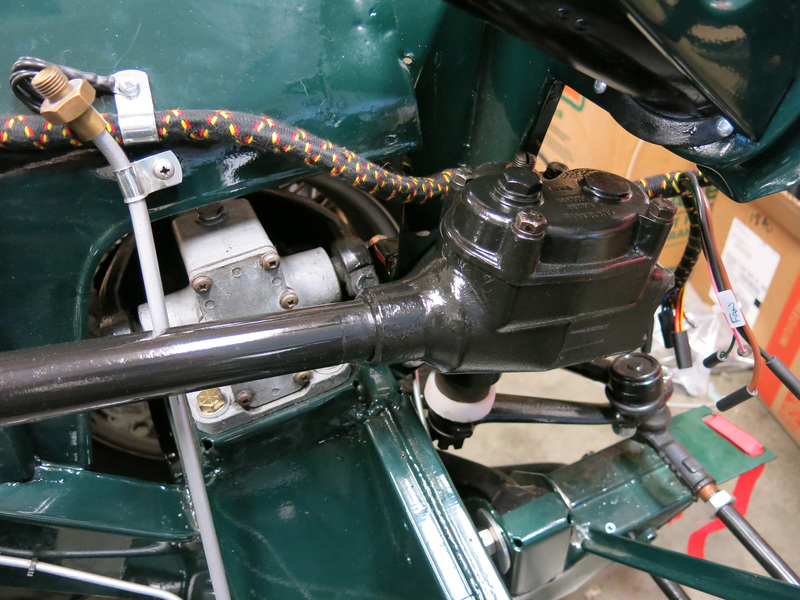 At the factory even the alternator, fan belt, breather hoses and exhaust manifold were painted with the engine. 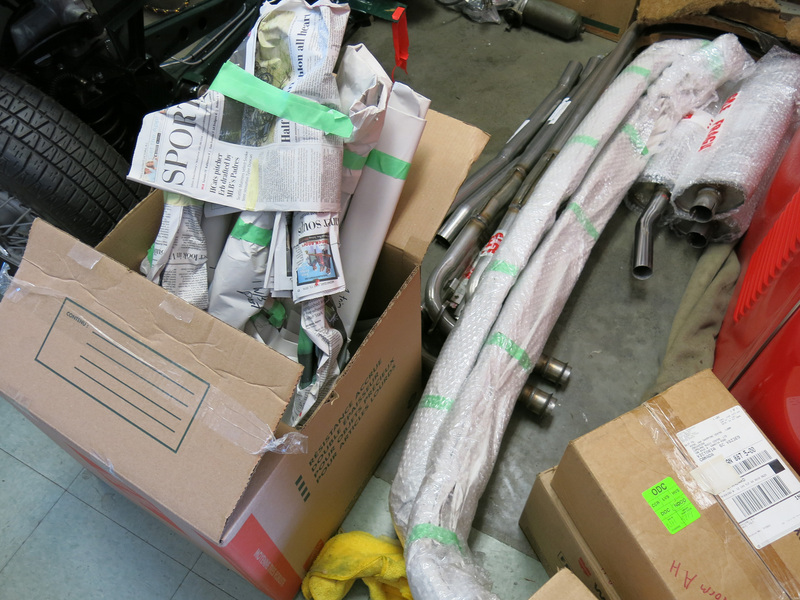 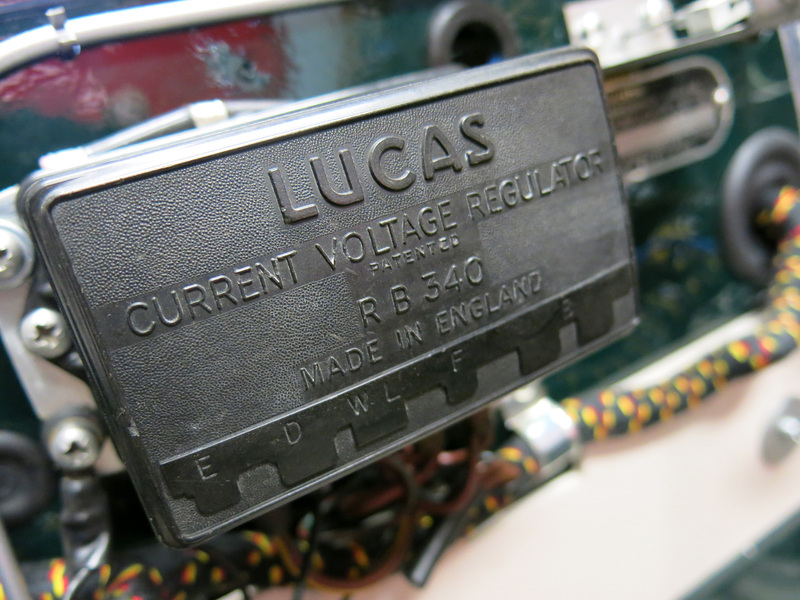 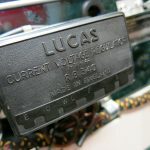 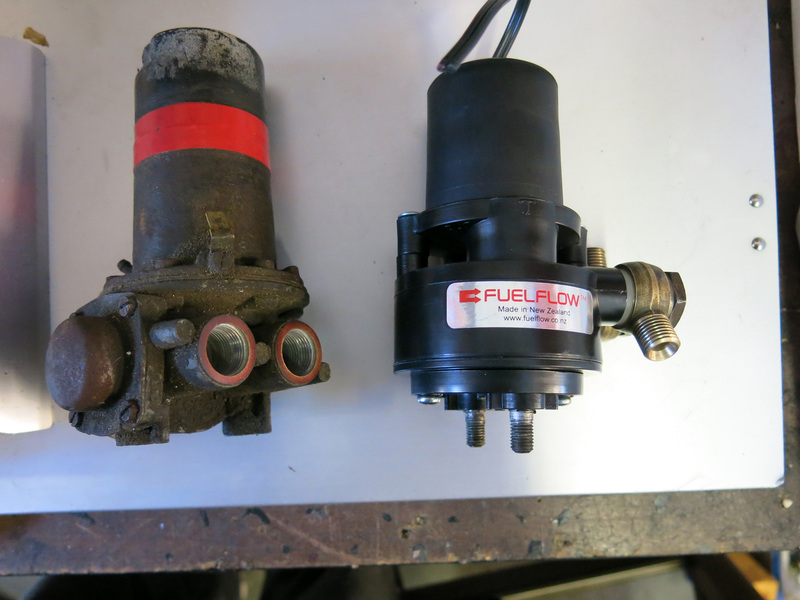 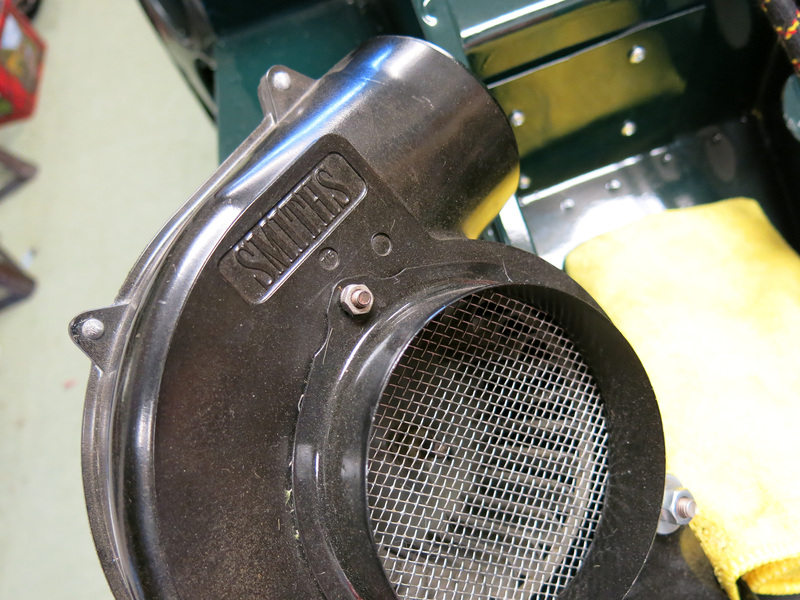 A couple items I forgot were the intake drain tubes and vacuum advance line which are also green. 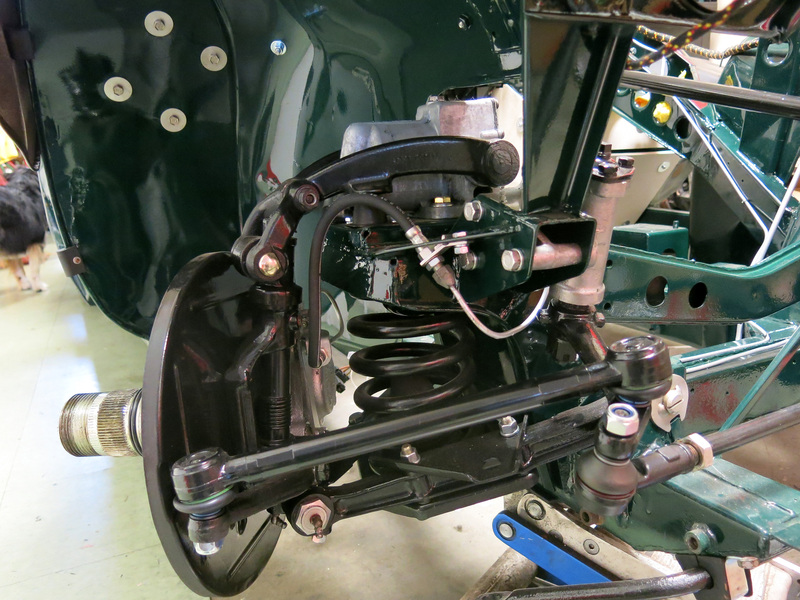 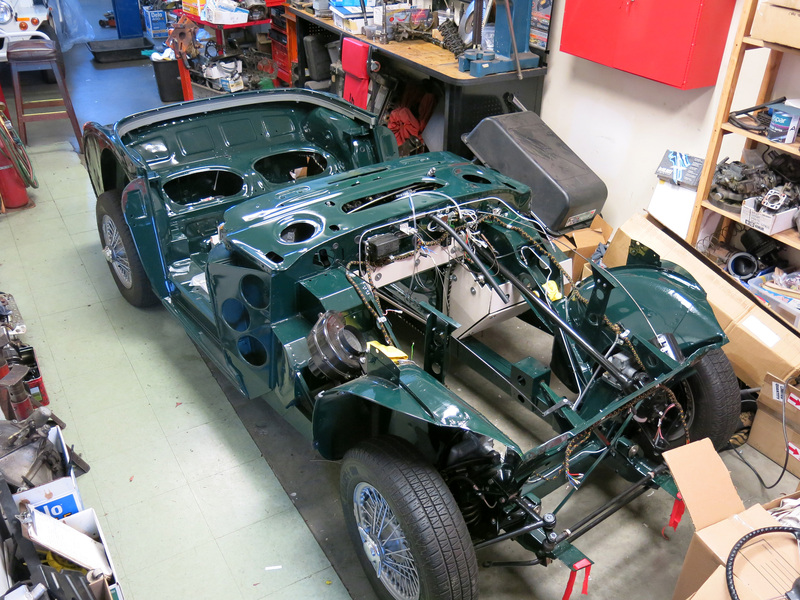 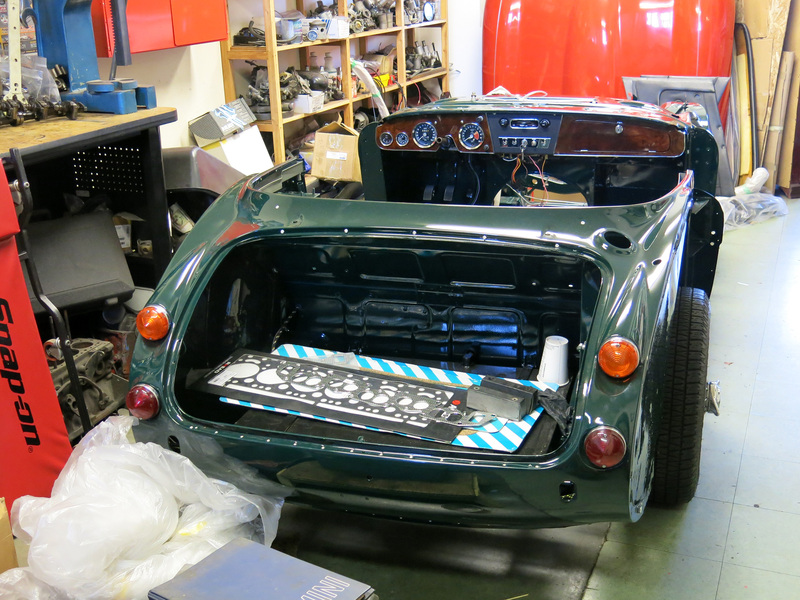 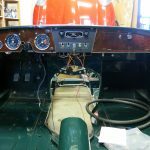 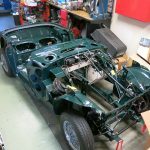 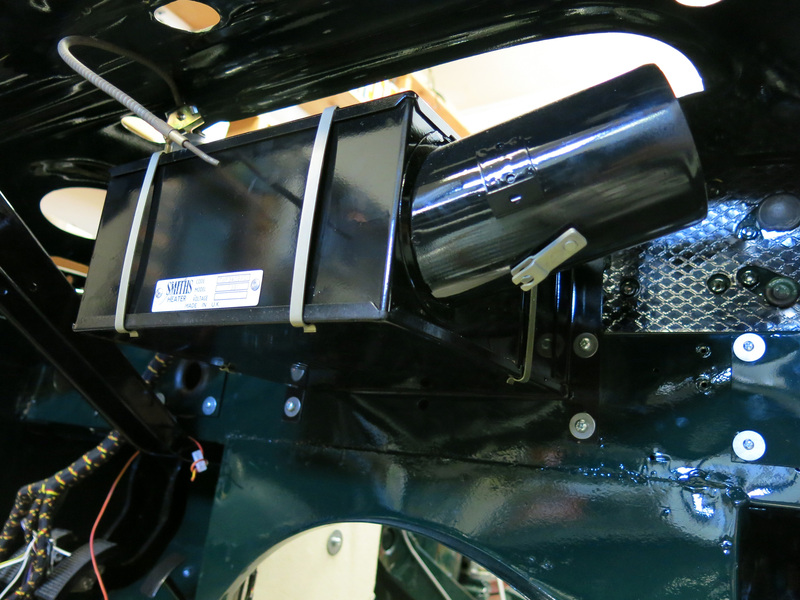 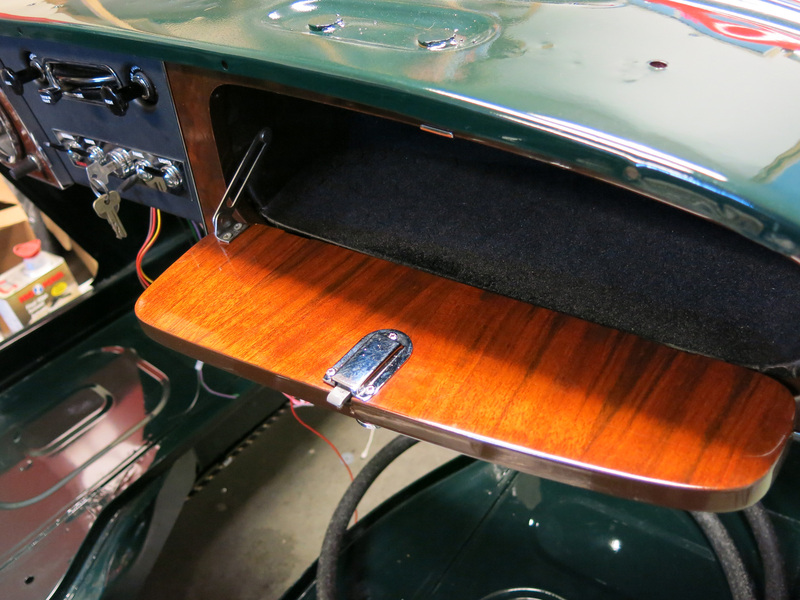 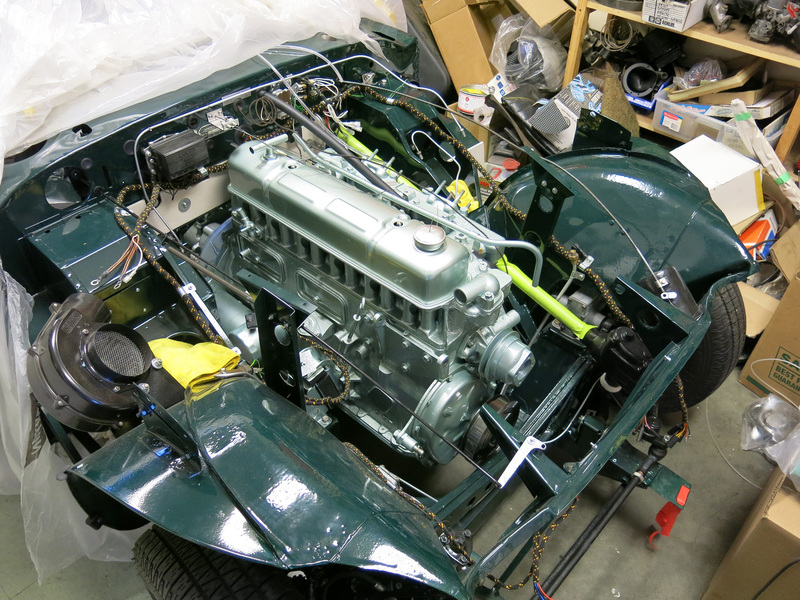 Our long-term Healey BJ8 restoration is ready for the engine and interior. 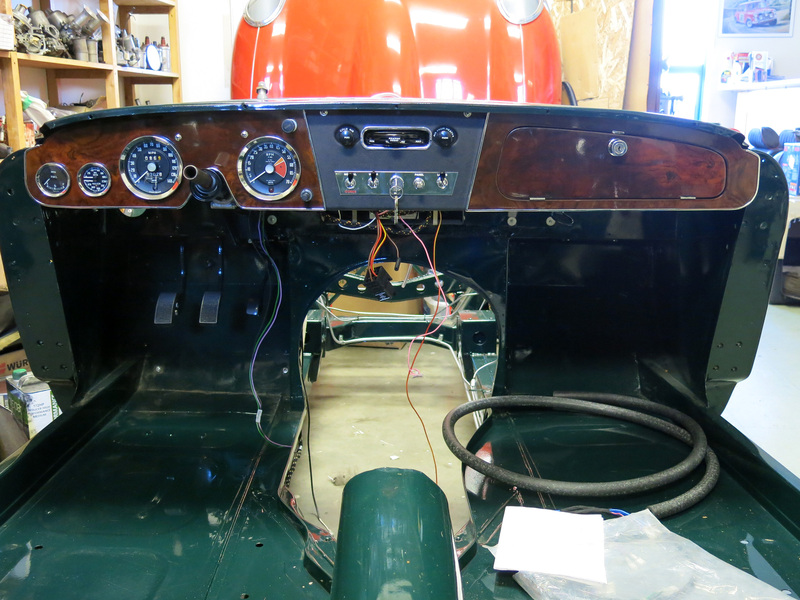 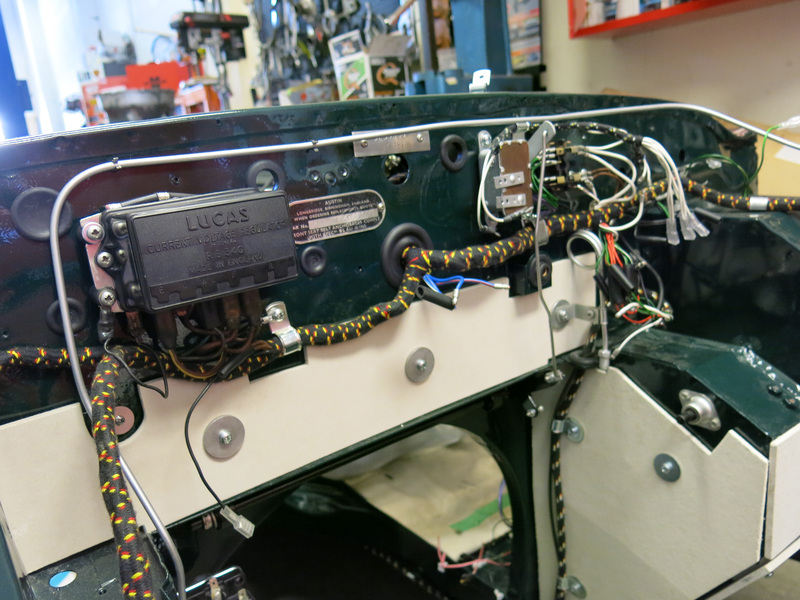 Since our last post the suspension, steering, wiring harness, dashboard and rear shroud have been installed. 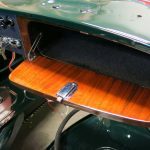 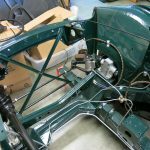 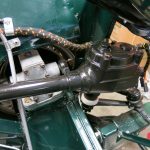 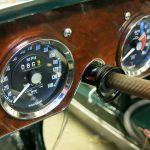 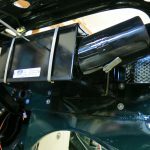 Some notable additions include a Fuel Flow maintenance-free fuel pump, the autosparks wiring harness with alternator, radio and fog light mods, a 3.9 Dennis Welsh rear axle, and a wooden dashboard finished by Coventry Woodworks. 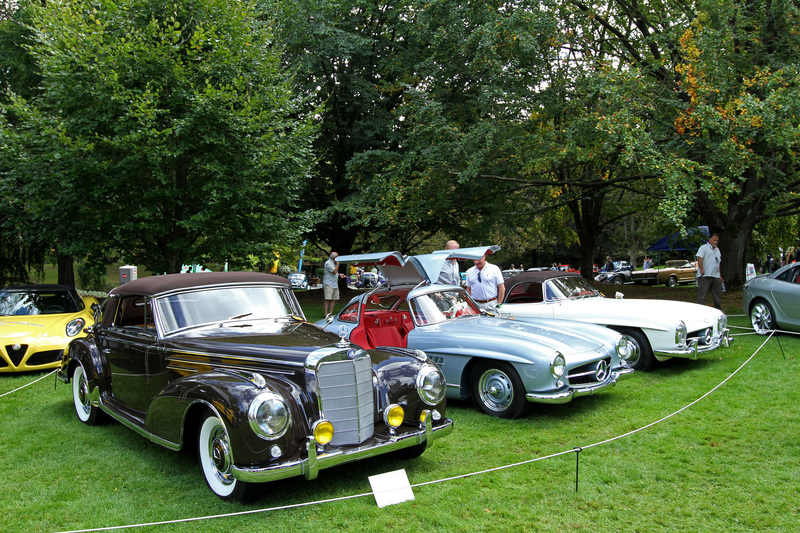 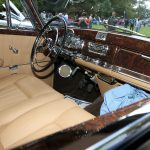 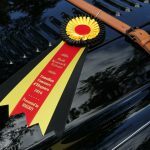 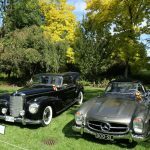 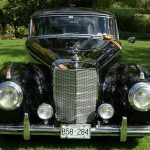 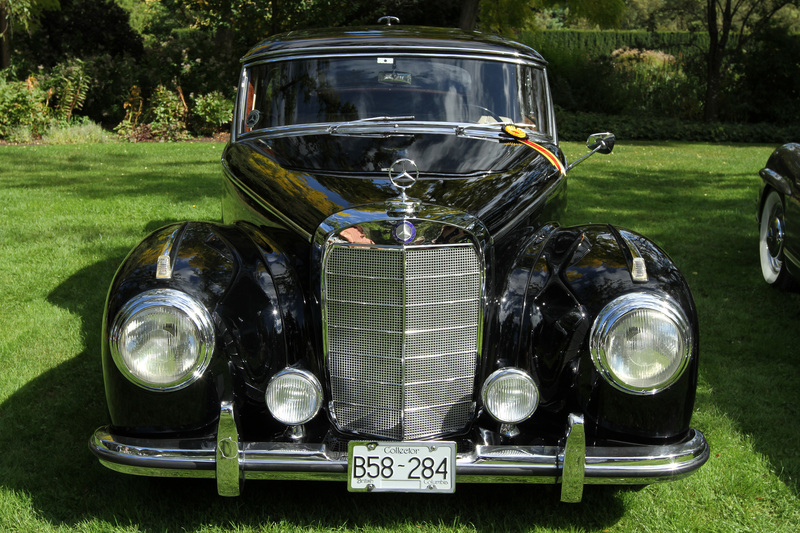 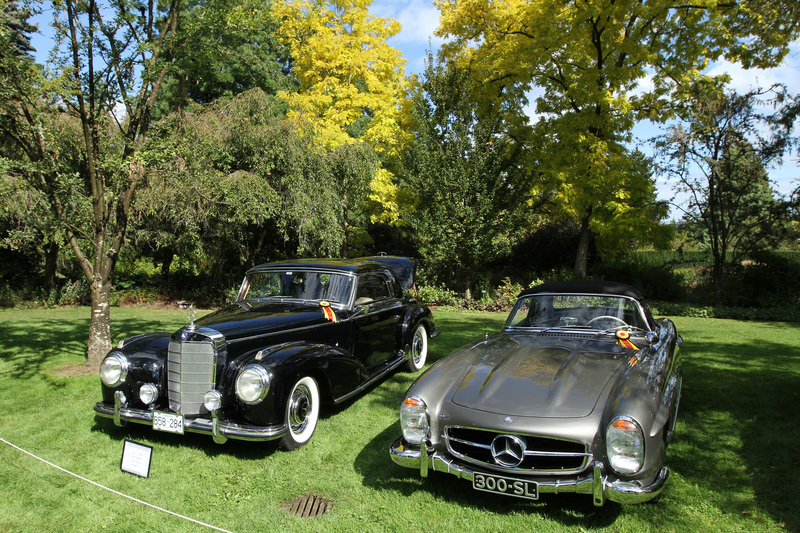 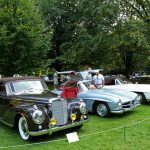 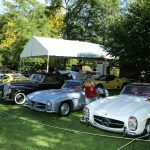 Mercedes-Benz 300 restorater Rudi Koniczek is being celebrated today as a feature of the 2016 Canadian Concours d’Élégance. 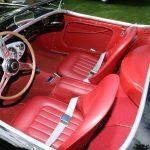 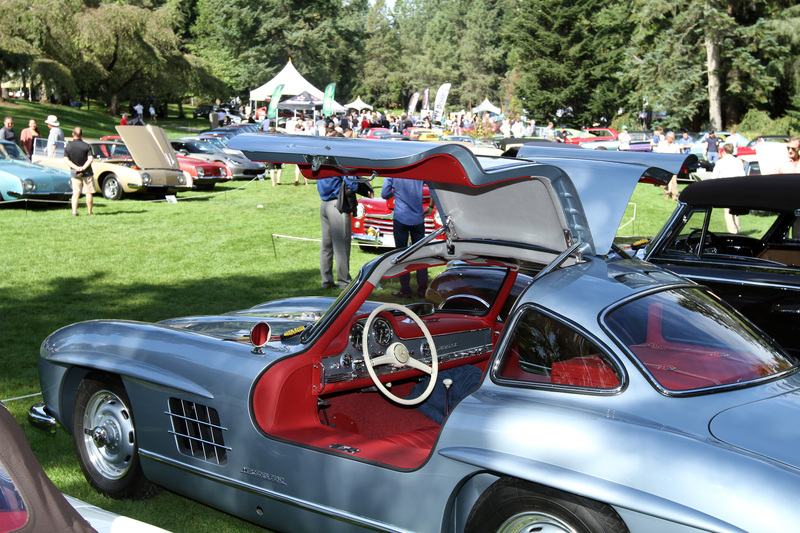 He is the 300SL boss and has worked on over 10% of the complete 300SL production as well as other interesting showcars. 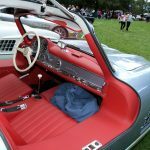 Local talent Mike Grams of Coachwerks and Electroshine in Sidney should also get a mention as their hard work is also seen on these cars. 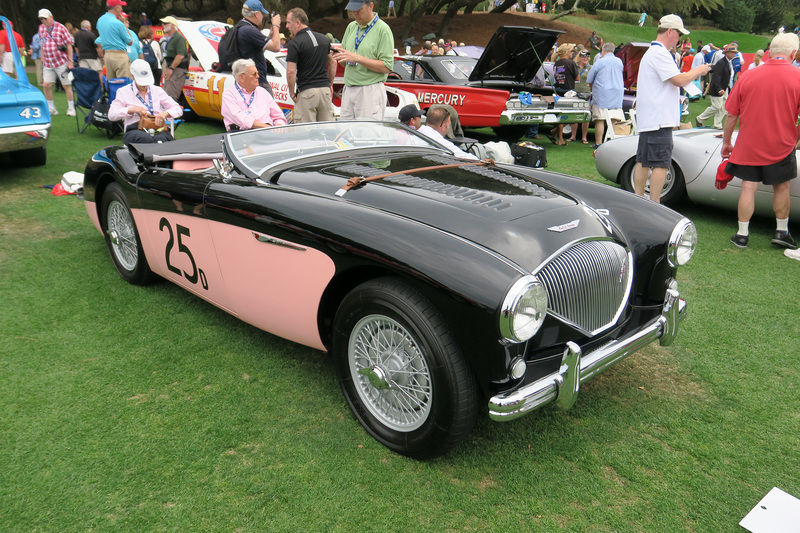 Naturally we were drawn to the 1956 Austin-Healey 100M of Chris Yarrow which is an absolute show stopper. 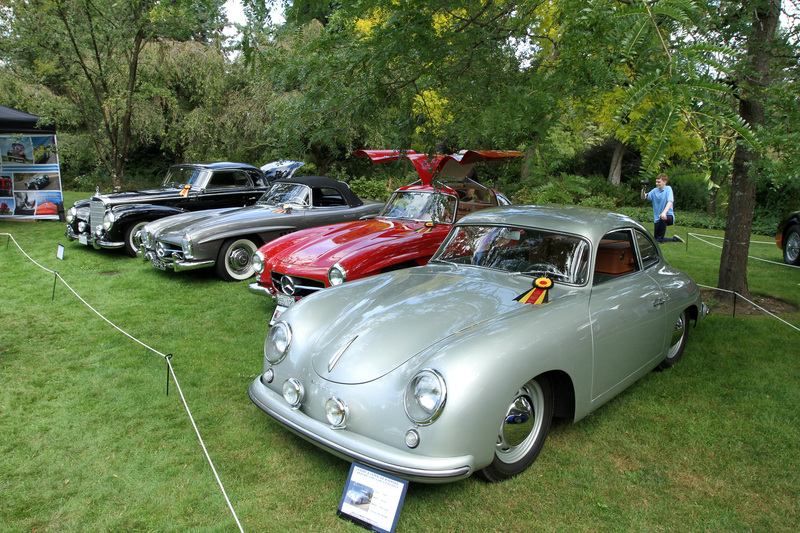 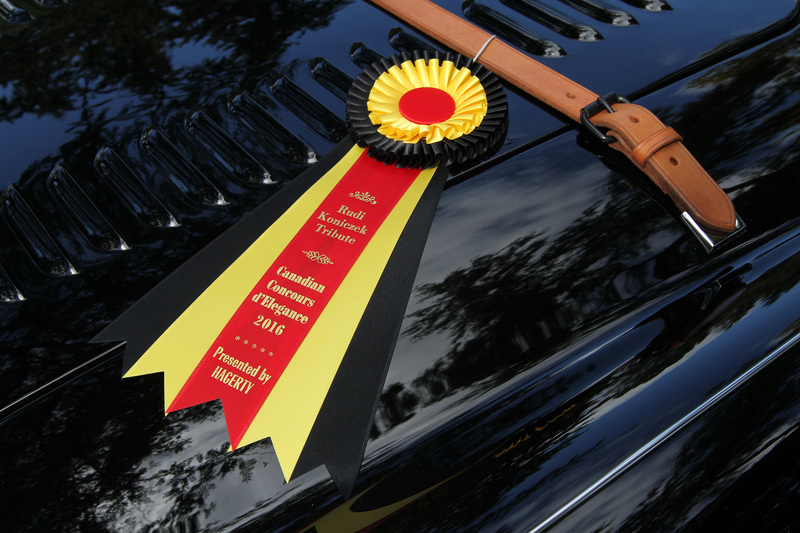 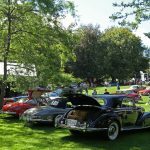 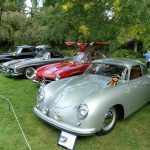 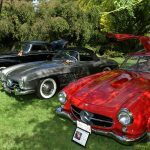 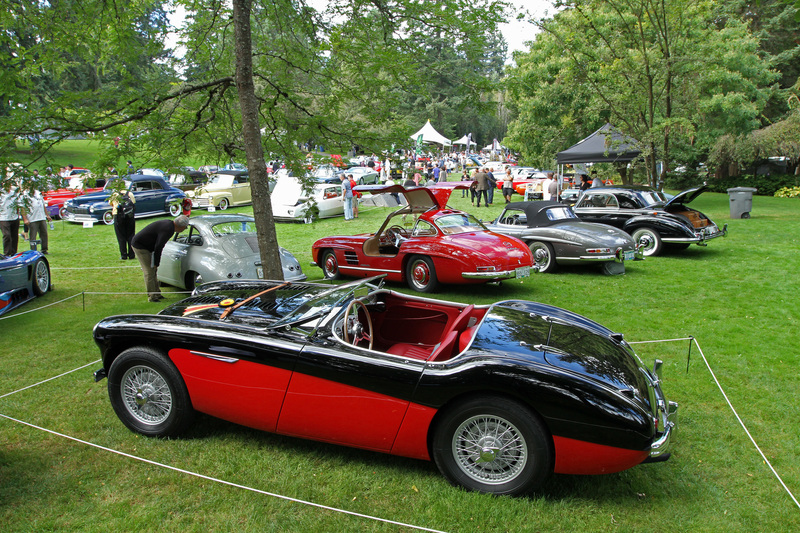 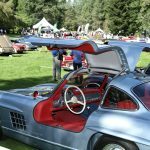 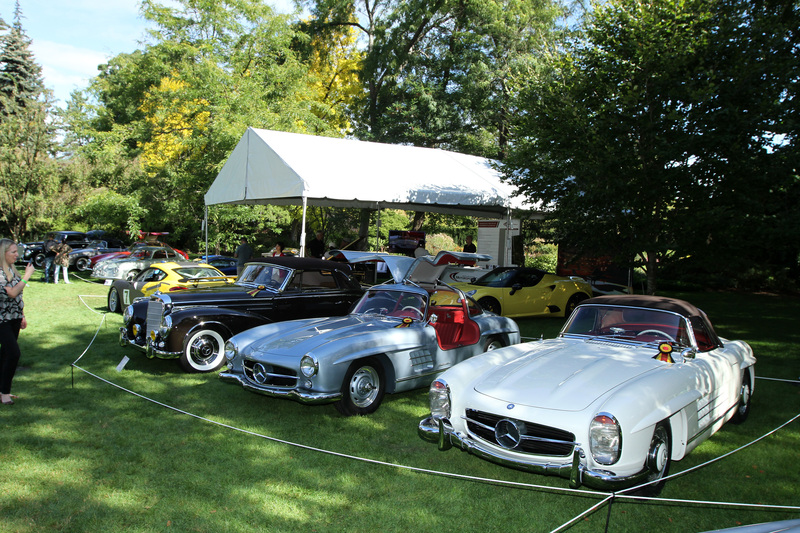 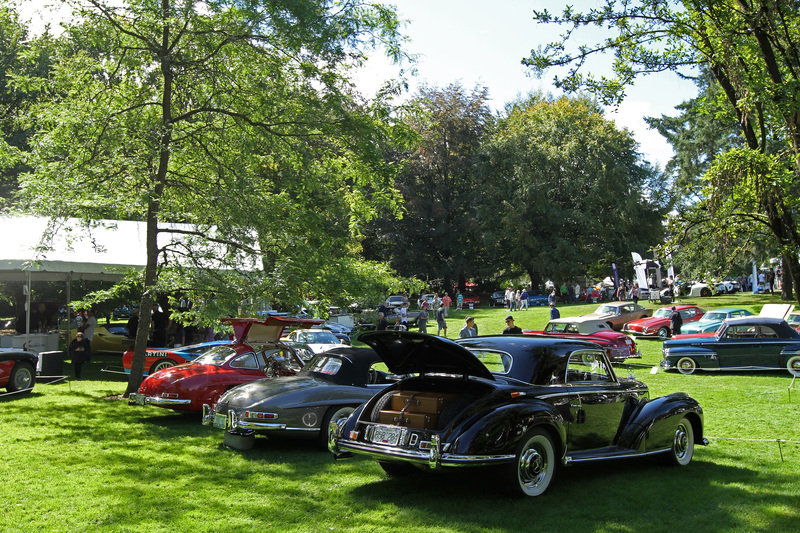 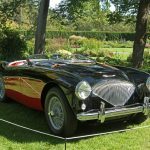 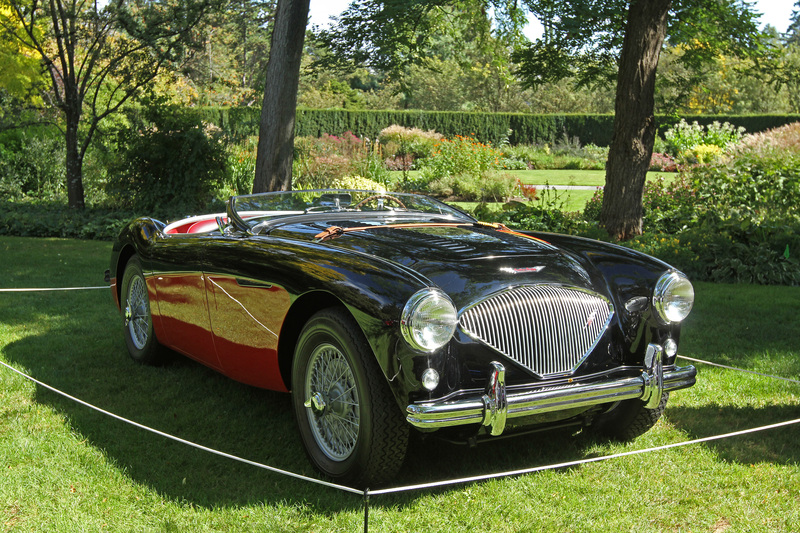 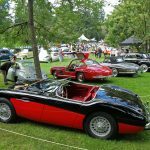 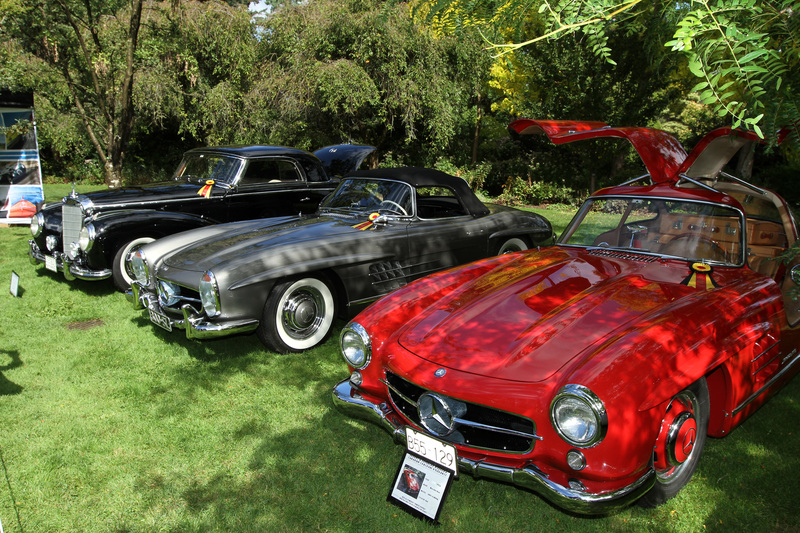 Presented by Hagerty, the Concours d’Élégance is part of the 2016 Luxury & Supercar weekend held at the Van Duesen Gardens. 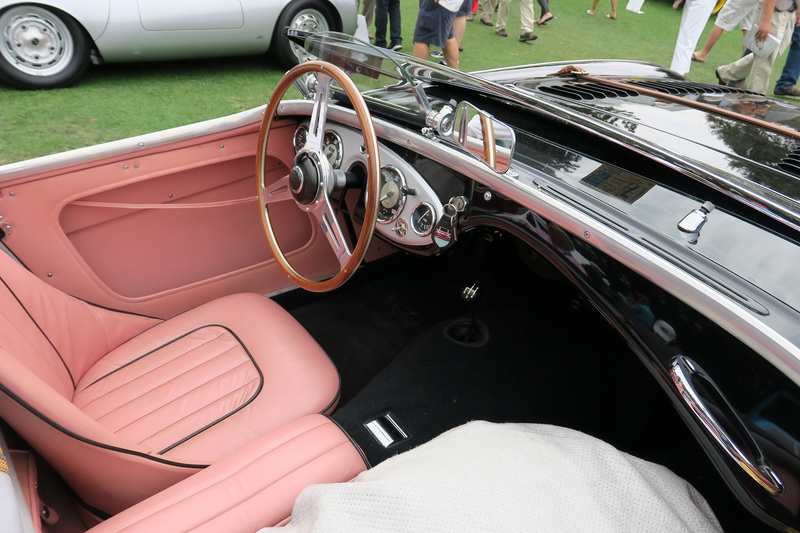 At the 2016 Amelia Island Concours d’Elegace Martin and Dottie Stickley displayed their 100 showcar complete with pink paint and interior. 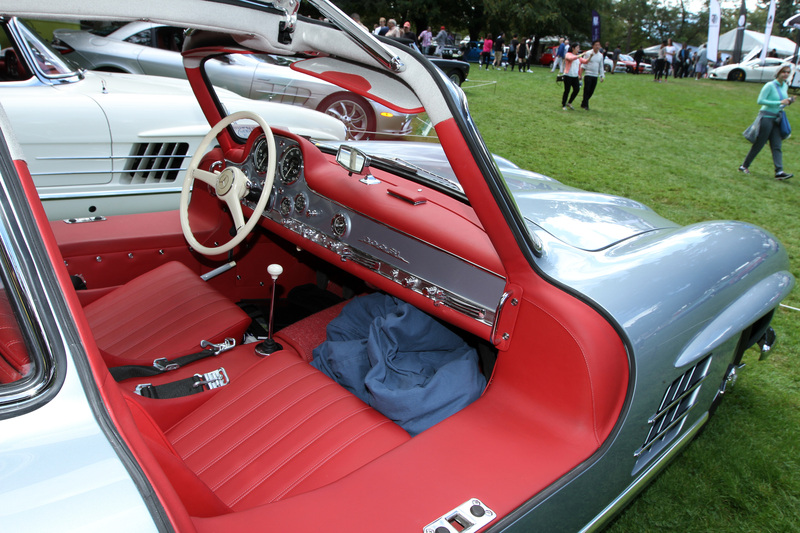 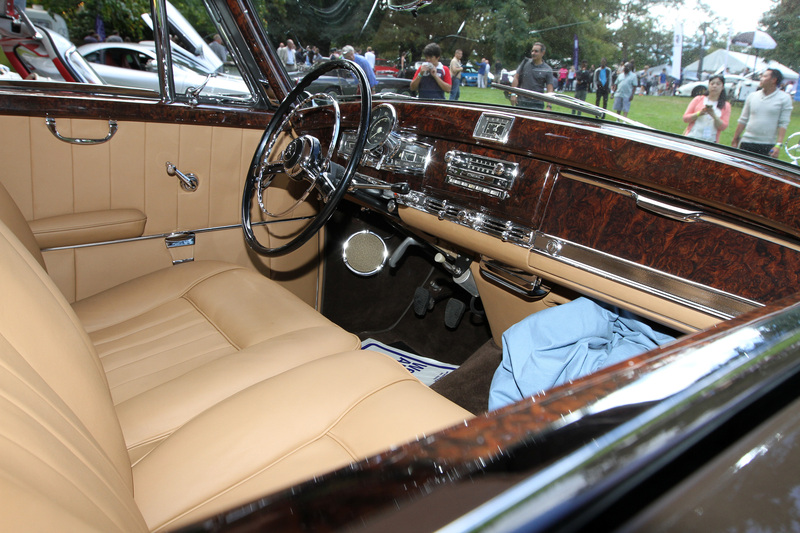 This car was selected by Donald Healey to introduce the new 100M model to the public at the Earl’s Court Motor Show in London in October of 1955. 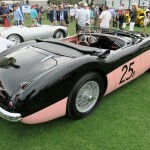 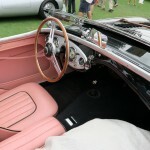 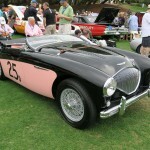 To attract attention it was painted black with pink coves and pink interior. This being the only Austin Healey to ever be completed by the factory in these colors. 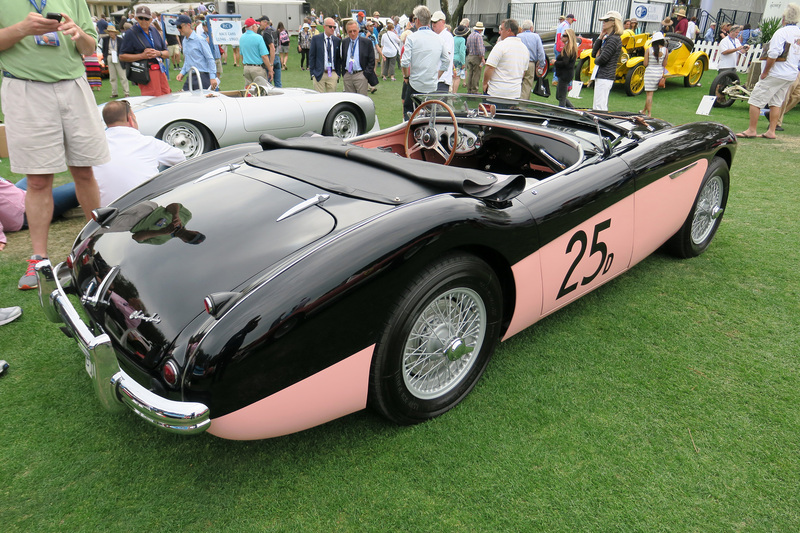 It was raced by Donald Healey and Roy Jackson-Moore in Nassau, Bahamas in December of 1955 and by Jackson-Moore at Santa Barbara and Palm Springs, California in 1956. 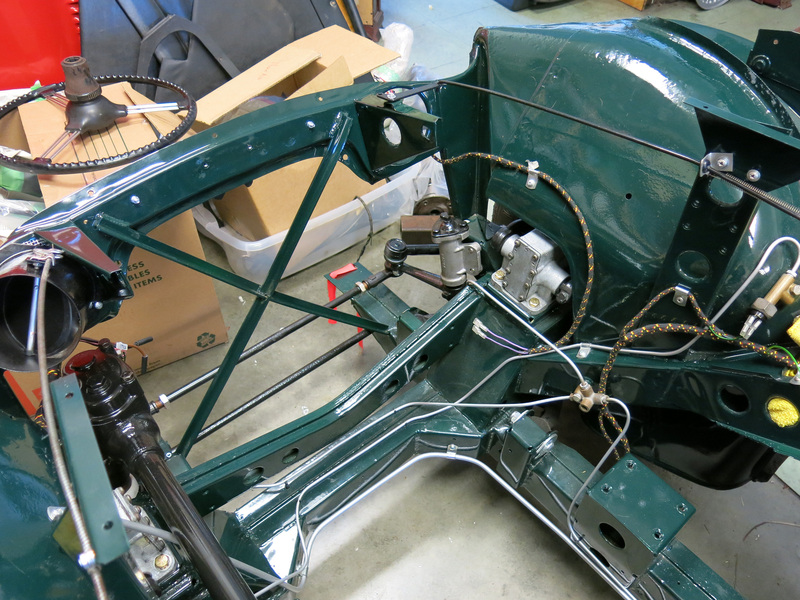 As an old race car, it was lost for 20 years, when Alan Alfano purchased it, installed a correct 100m motor and proceeded to restore it. 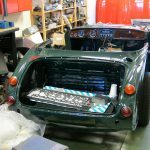 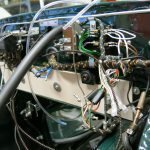 It was not until 1985 that the British Motor Inudustry Heritage Trust informed him it was the Earl’s Court 100m show car. 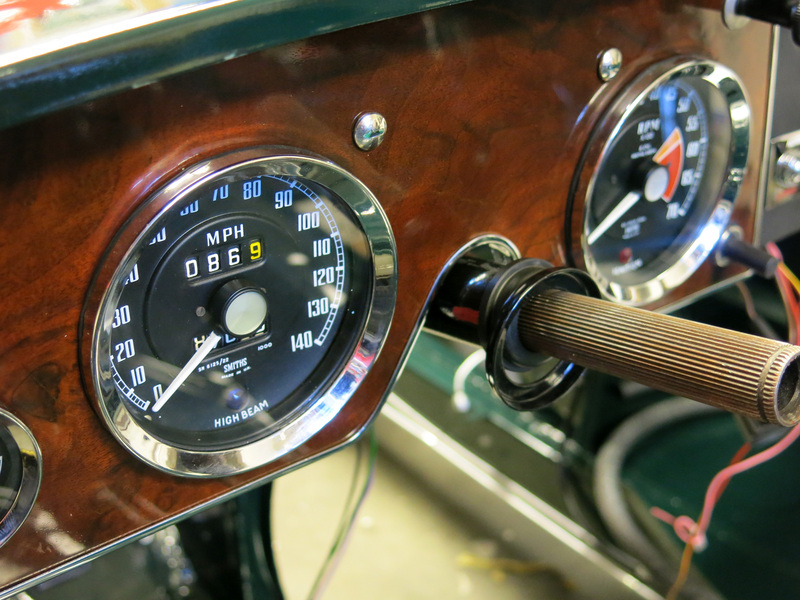 He completed his restored in 1991. 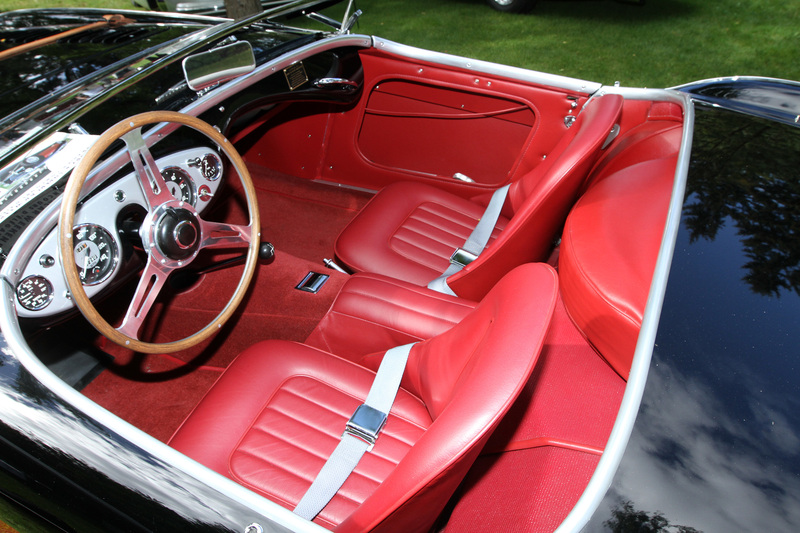 The current owner aquired the car in 2013. 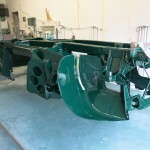 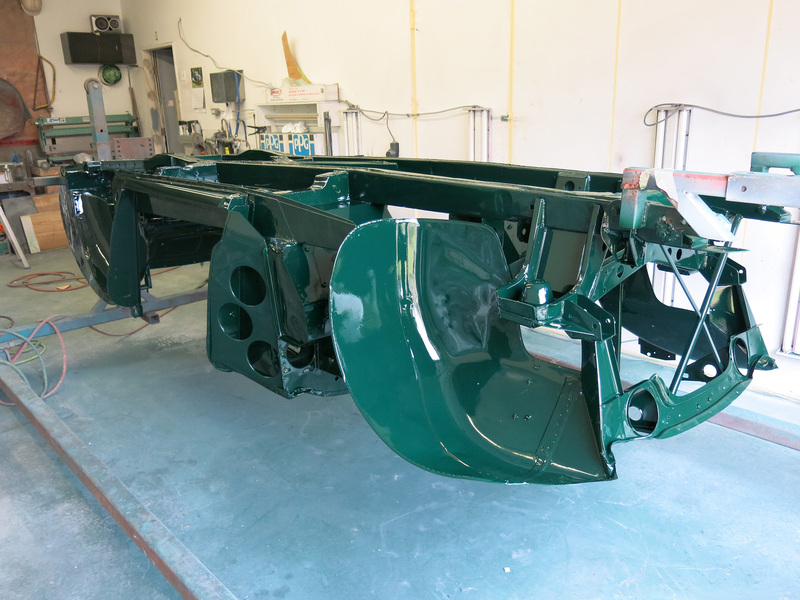 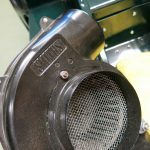 BJ8 Restoration: Part 5: Green Paint! 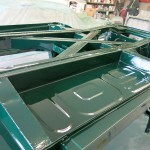 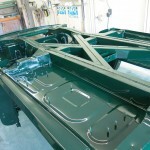 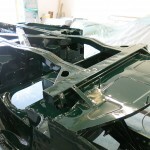 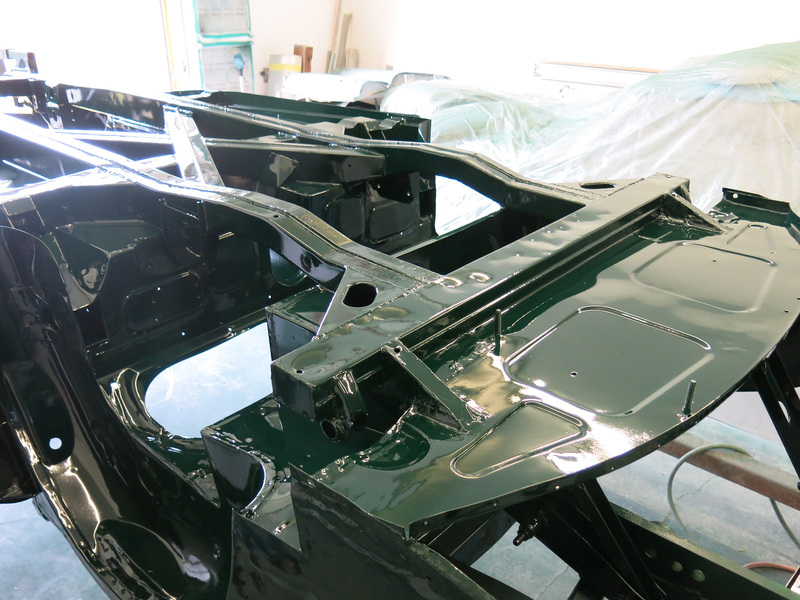 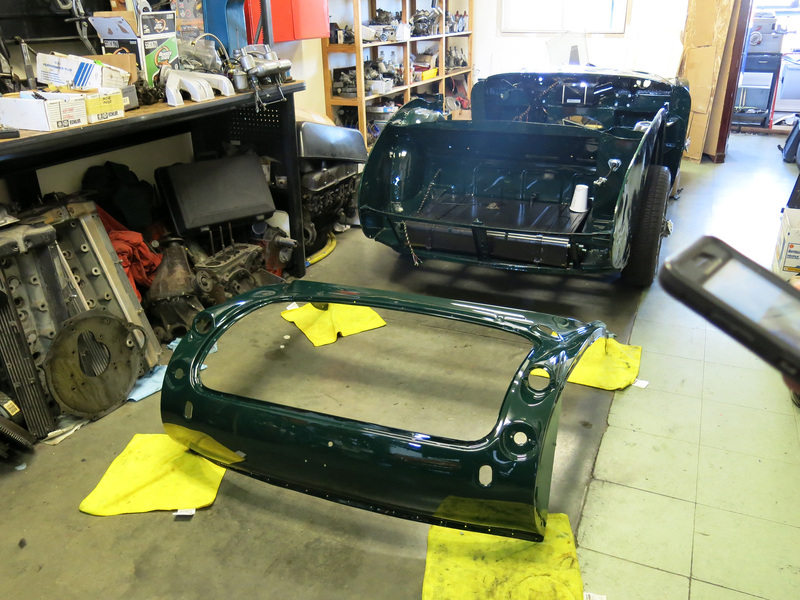 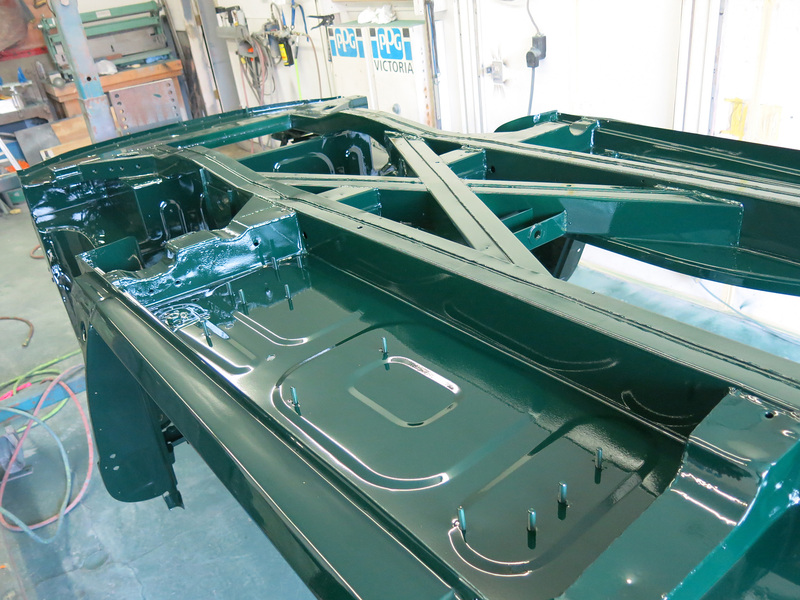 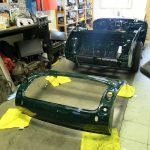 Today we took the trip out to Trevor Black’s who is the talent behind our Healey’s green paint. 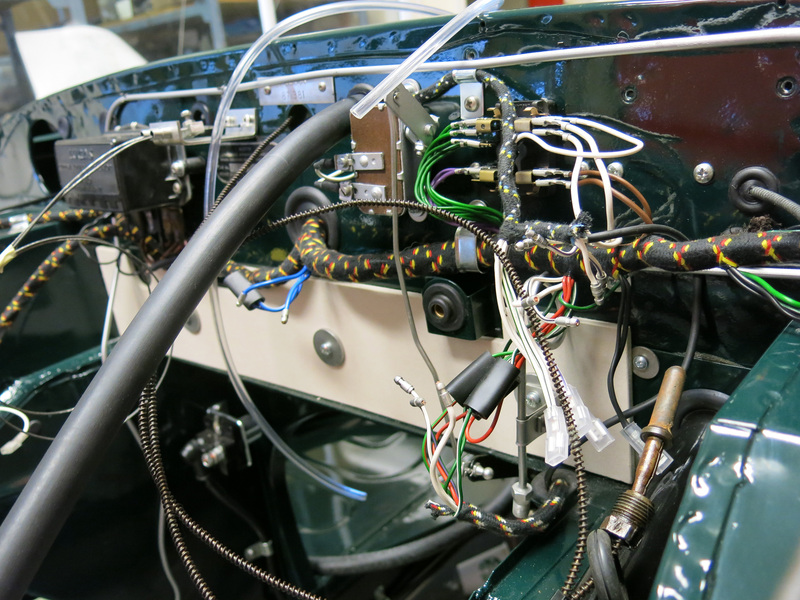 This work comes after considerable preparation and marks a milestone for the project. 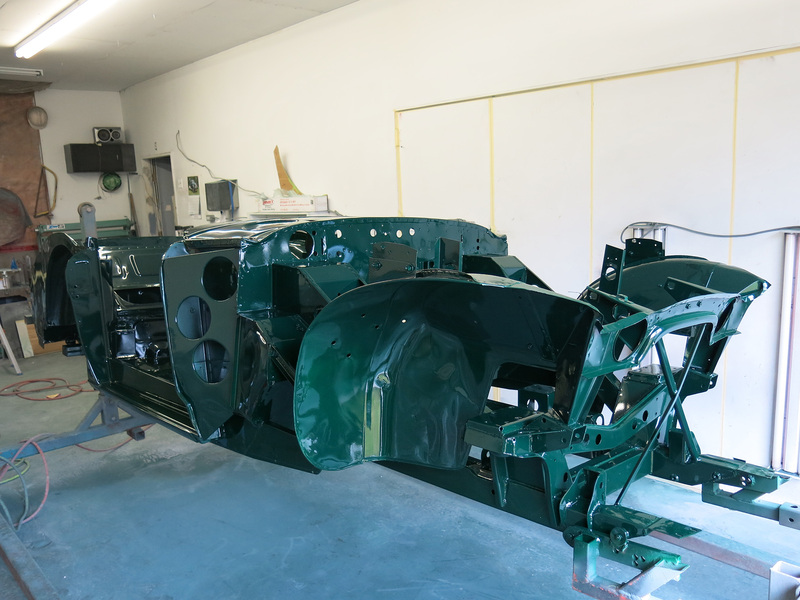 Trevor has been working with paint for thirty years and is one of our secret weapons when it comes to restoration. 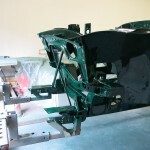 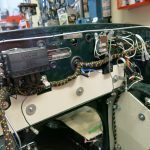 The main reason to work with him is his exceptional finish out of the gun, which means parts like our incredibly complex platform chassis can shine. 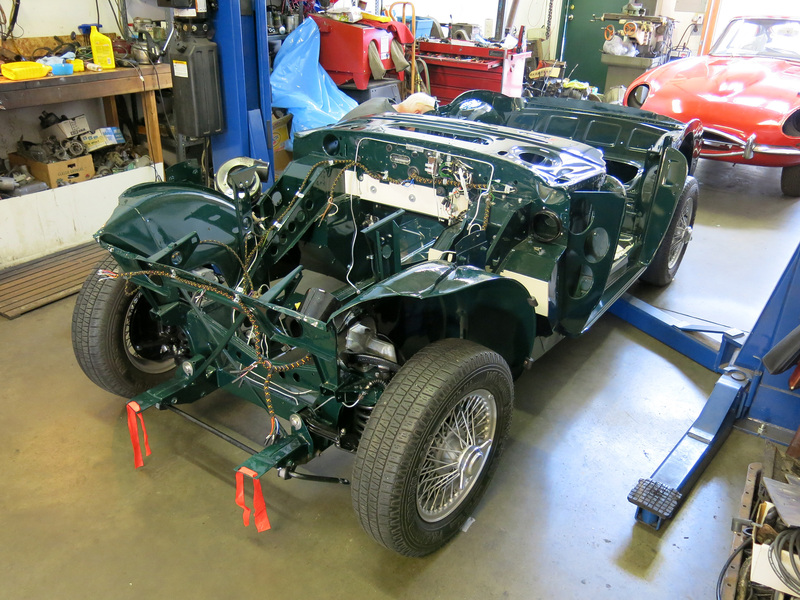 Next week we hope to have the Healey in the shop if you would like to see it in person. 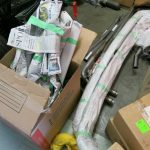 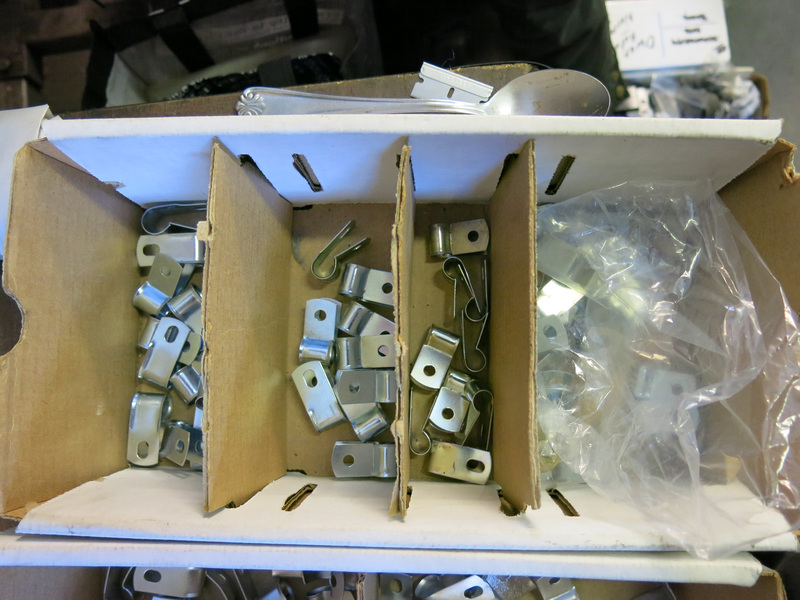 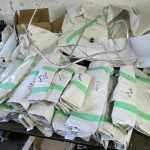 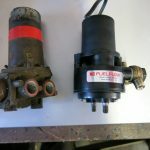 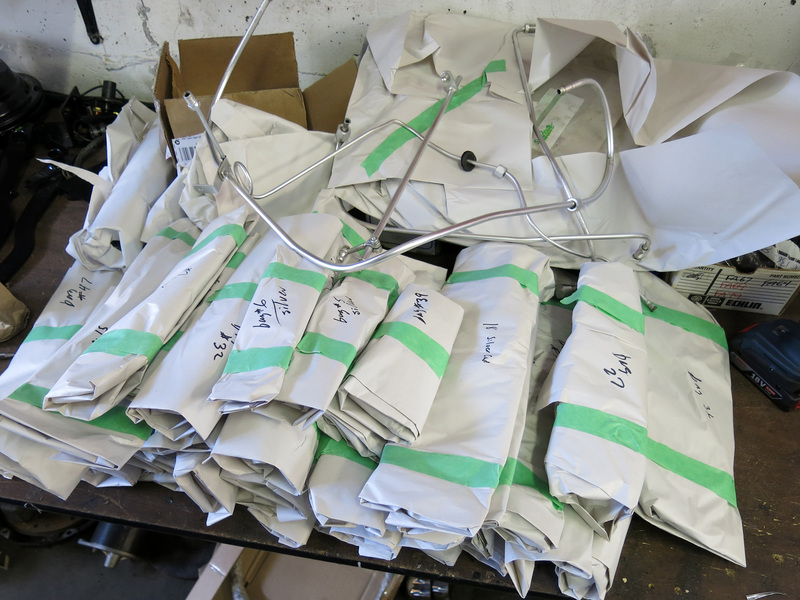 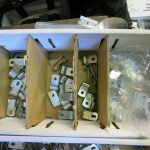 We just ordered 440 parts from A-H Spares, but will rely on other great support from Autofarm, Dennis Welsh Racing and British Car Specialists as well.